Started as a small joint in the winter of ’87, Buvachi Misal is perhaps one of our favourite places in the tri-city-zone (read: Mumbai, Pune & Lonavala) that sells misal that is both yummy and spicy. Located near Fariyas Resort in Lonavala, Buvachi Misal sees close to about 400-500 people visit the place every day for its famous misal pav. The recipe was first curated by Maruti Gaikwad who started Buvachi Misal, three decades back. Currently, the joint is run by his grandson, Ananta Gaikwad who says that they have not altered the recipe one bit in all these years. Perhaps, one of the reasons why the eatery continues to maintain its popularity. Buvachi Misal sells three kinds of misal – spicy, medium-spicy and normal; each for INR 50. We recommend you try the spicy misal pav which feels like a burst of flavours in the mouth. The red curry is quite thick and spicy and has a little crunch that comes from toppings such as chivda and onions. 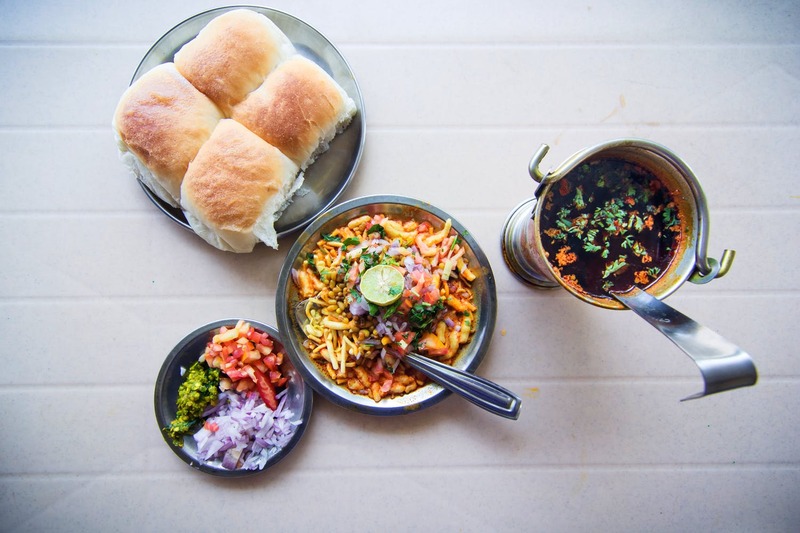 The misal is served with buttered pav and thecha, which is basically a paste-like condiment made of green chillies and garlic. We hear Buvachi’s kanda bhajji and vada pav are also nice if you’re in for something light and non-spicy. What’s more? The place also sells special Jain misal pav every Saturday and Sunday. Buvachi Misal is open every day, between 9.00 am and 7.30 pm. However, we recommend you go well before closing time!